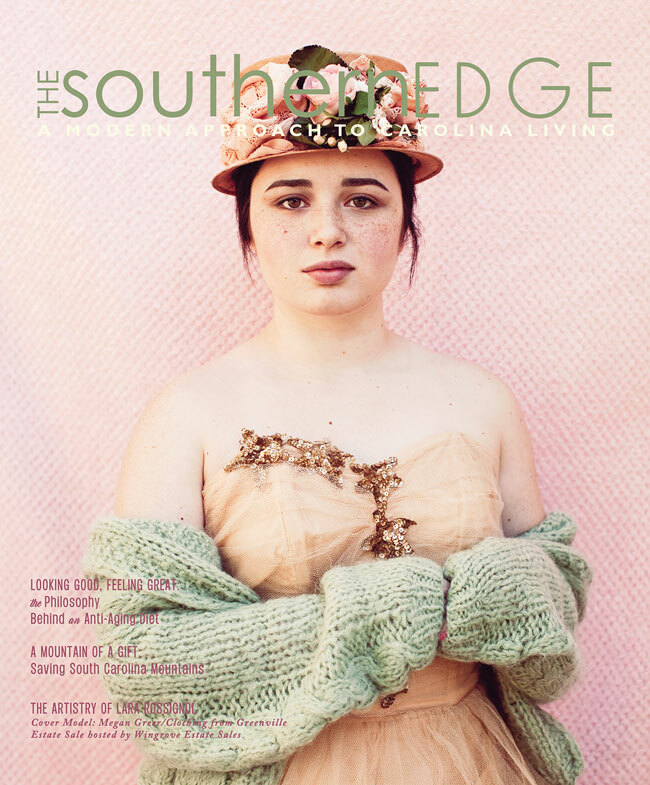 I am so excited to have a cover story on my work and career featured in the spring issue of The Southern Edge Magazine. I consider my life and career always a work in progress. I love the beautiful design of the piece and cover by art director Anna Joyner, both she and editor Michelle McCollum gave me a lot of input. I am especially happy that they used some images from my personal project, Young Southern Women in Old Southern Dresses. Click the little box on the lower right to go full screen. I also got to work with them on a story about foods for Anti Aging featured on page 70.